Backup SMS messages from an Android device. Is there a better alternative to AST Android SMS Transfer? Is AST Android SMS Transfer really the best app in Backup category? Will AST Android SMS Transfer work good on macOS 10.13.4? 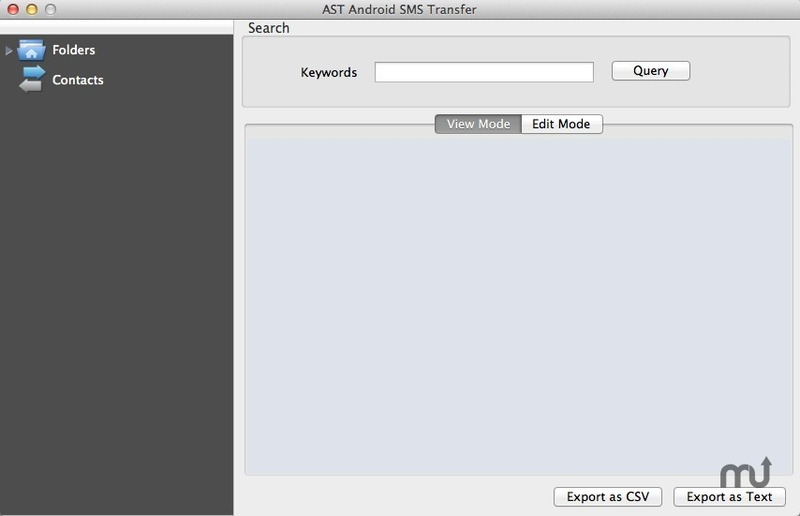 AST Android SMS Transfer, the Smart Android SMS Backup tool for Mac OS X users. The AST Android SMS Transfer is a must-have application if you need to backup, restore, edit & save your Android SMS to Mac, and OS X Mountain Lion supported. Transfer & backup the Android SMS to your Mac. Restore the SMS backup in Mac to your Android phone. View, edit, and save your Android SMS on Mac. Export Android SMS to document in txt or csv format. Print out Android SMS in amazing threading mode. AST Android SMS Transfer needs a rating. Be the first to rate this app and get the discussion started!